US Vice President Mike Pence addresses the Hudson Institute on the administration's policy towards China in Washington, DC, on October 4, 2018. Pence on Thursday accused China of seeking a change of power in the White House, stepping up allegations of electoral interference. 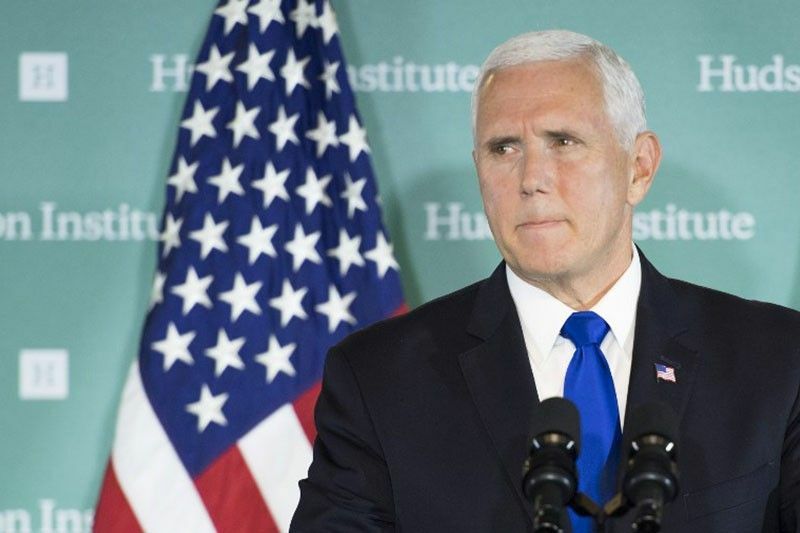 WASHINGTON, United States — Vice President Mike Pence on Thursday accused China of military aggression, commercial theft and rising human rights violations as he cast the Asian power as a villain bent on interfering in upcoming US elections.